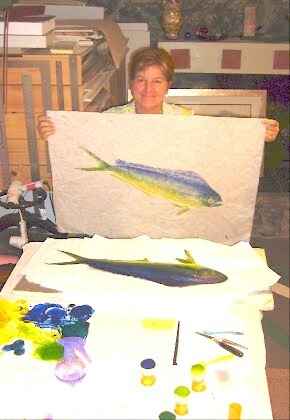 In this 6-hour beginning workshop, you will learn the elements of creating a fish print using oil based relief inks. 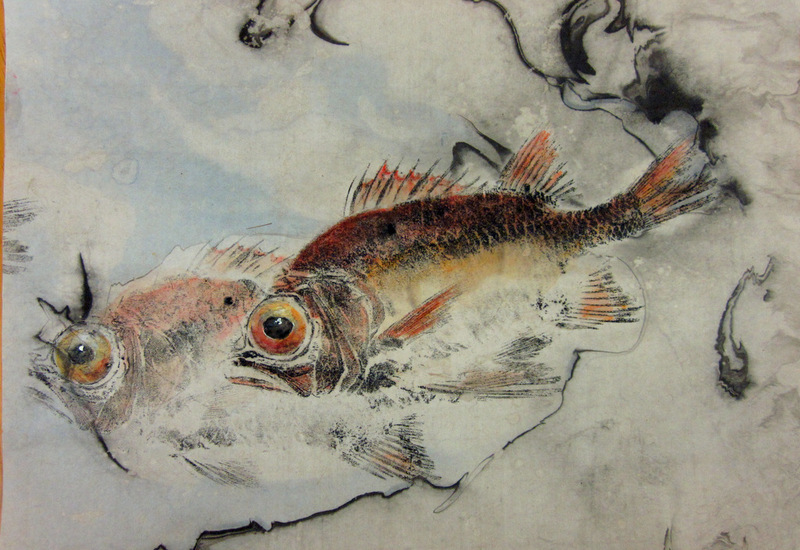 Subjects covered are selection of the fish, cleaning and preparation, inking methods and types of rice paper. Emphasis is on the creation of a realistic print, utilizing the elements of design, balance, value, and shading to achieve a pleasing overall image. We”ll also paint in the eyes so that all prints will be completed at the end of the day. 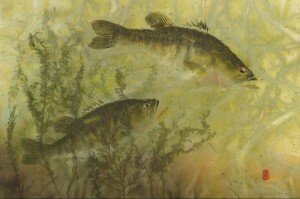 Expect to leave the class with at least four completed prints of two or more different fish. All fish and specialized materials are provided, but students may bring in their own fish for the class. This is a three to five day series of advanced workshops that each build on the previous day’s work. There are several different topics covered in advanced techniques. 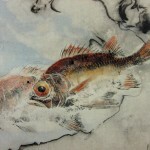 In these classes you learn the artistic elements of creating a gyotaku image, the selection of materials, including inks and papers, the two methods-direct and indirect, different techniques of preparation of the fish, plant pressing techniques, and the preparation of the print for display, including eyes, signature, and mounting. Nature printing seaweeds and water plants into an image.